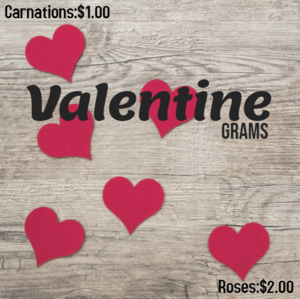 There has been a sale of roses and carnations for Valentine's Day. Roses are $2.00 and Carnations are $1,00. If you would like to purchase one, please see Herlinda in the office or during lunch to place your order.